When it comes to outdoor signage, there are a number of different sign types to choose from. We at Dave’s Signs specialize in providing custom outdoor signage solutions to businesses of all shapes and sizes. 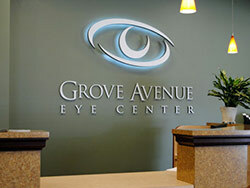 In our opinion, Channel Letter Signs are some of the most striking signs in the industry. They offer a the ability to showcase your business in powerful and sophisticated ways. Check out this sign for the Shanghai Beer Garden below. Channel Letters- What Are They? Channel letters are illuminated letters and graphics that are individually cut and installed on storefronts and various other commercial settings such as restaurants, pubs, bars, shopping malls, specialty stores, retail stores and more. They are one of the best mediums of storefront identification. Since each letter is formed separately and has its own light source, the signage creates a highly impactful 3D effect. When passersby and motorists view your signage it creates a great impression. Good quality channel letters indicate to potential clients that your establishment is serious about its business. Professionally designed and beautifully fabricated channel letter signs are one of the best ways to create an impact on the public, especially during the nighttime. We created this channel letter sign for Yolanda’s Mexican Cafe, it looks great at night! When you choose to get your channel letters designed from us, you are assured of customized solutions. Our team of designers ensures that these signs complement your building’s architectural elements. We can install classic neon tubing or even low maintenance and energy-efficient LED signs. You have the option to choose between ‘halo’ lettering and illuminated channel letters as per your design and budget requirements. Do you recognize this familiar brand below? We handle everything from design, manufacturing, and installation, as well as maintenance and repairs of channel letter signs. For information on these and other outdoor signage, feel free to call Dave’s Signs at (805) 641-1387, or reach out to us online and we will get back to you shortly.